Solon Security is the UK’s leading supplier of quality crime prevention and community safety products. We have over 23 years’ experience working in partnership with our customers and are proud to have developed a reputation as industry leaders in quality. Last year we accelerated the fight against distracted driving with a brand new collection of “Don’t Text and Drive” awareness products and the introduced of our most innovative road safety solution: the Defender Signal Blocker (below). The Defender Signal Blocker has now received Police Preferred Specification. 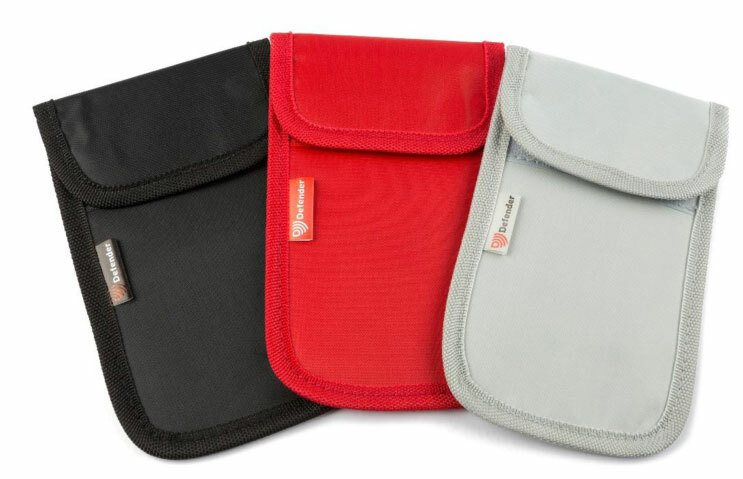 The Defender Signal Blocker is a mobile phone pouch that contains special RPF blocking material. When sealed inside, a phone cannot receive any calls, texts or other notifications, meaning the driver is free to focus their attention on the road; no notifications, no distractions. Since being launched in April the Signal Blocker has proved extremely popular and has generated excellent feedback from road safety partnerships, police forces, driving schools and fleet operators nationwide, receiving praise for its branding options and affordability. The Defender Signal Blocker has also received a range of professional endorsements; from the Auto Express Best Buy 2018 award, to shortlisting for Best In Car Product at the 2018 First Car Awards, right through to regular features on TV broadcasts like BBC’s Rip Off Britain and ITV News.